You may need to undo your passcode when you have forgotten it, or simply cannot keep track of the passcodes that you use. You can also leave your iPhone in the hands of a child and he or she locks your screen by typing in the wrong passcode several times. Basically, you need to undo passcode on iPhone for easy access to your iOS (iOS 10.3 including) device. A passcode can force you to restore your iPhone to factory default settings making you lose all your apps, files and data. 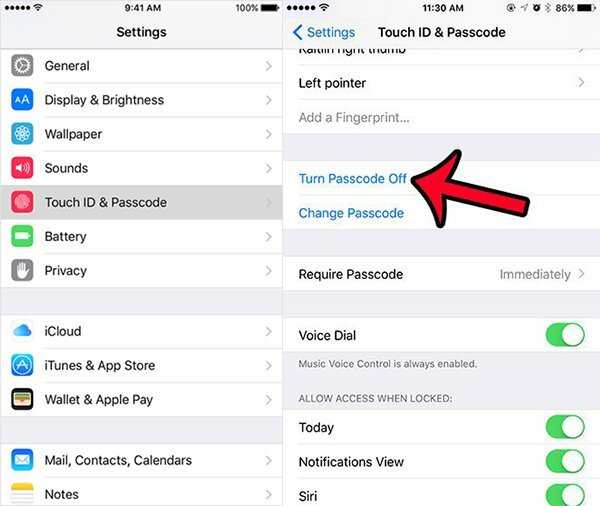 This article shows you how to undo, turn off and remove passcode from iPhone with ease. Here you will learn how to disable the passcode if you can remember it, and how to disable it, if you cannot remember it, or you have locked your screen by typing the wrong passcode severally. Go to the settings app on your home screen and then select passcode. You will be asked to type in the correct passcode for the first time. At the top of your iPhone screen, you will see an option to turn off your passcode; select this option. You will be prompted to type in the correct passcode for a second time. After this, you will notice that “Turn Passcode Off” changes to “Turn Passcode On”, indicating that the passcode is no longer required. B)	If your screen has been locked and cannot remember your passcode, then you can turn off iPhone passcode using iTunes. Using a USB cable or WiFi, connect your device to your computer and once it is recognized, sign into your iTunes account. iTunes automatically syncs your iPhone once it is recognized. If it does not, simply enable the side bar and then click on your iPhone device; Click View > Show Sidebar > iPhone. After the sync operation is complete, go to the sidebar and select “Device”. Go to the “Summary” tab and then click on the “Restore iPhone” button. 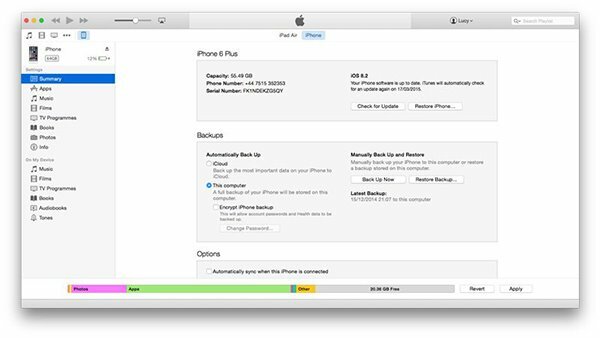 Click on the "Restore Backup" button to restore the iPhone using your iTunes backup files. You will now be able to reset the passcode on your iPhone or simply disable it. When you cannot remember your passcode, and have to restore your iPhone to factory default settings in order to access the device, you will lose your data. 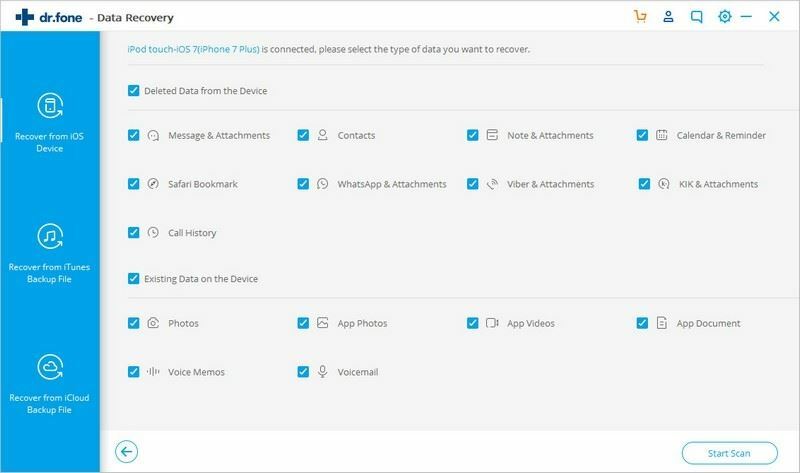 However, you can restore the data using iSkysoft Toolbox - iOS Data Recovery; with this tool, you can use your backup files on iTunes or iCloud to restore the lost data. Several recovery modes – You can recover data from your iTunes and iCloud accounts; you can also recover data from your iPhone directly. 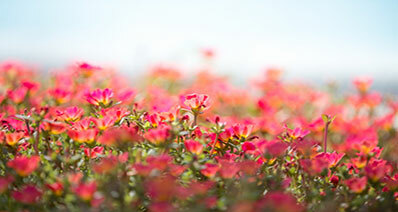 Supports several file types – This tool works with more than 20 different file types. Recover your messages, photos, videos, music, contacts, emails and other file types using this flexible tool. Selective recovery of files – This feature allows you to preview your files and then select those that you want to recover. Direct recovery from iTunes and iCloud does not allow you to do this meaning that you have to restore the full backup, even when you only need a few files. 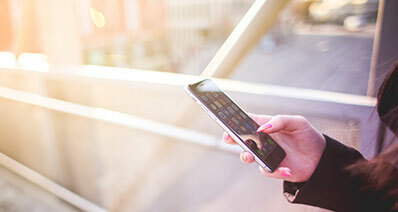 Easy to use – The tool has a simple user interface allowing even the most technically challenged iPhone users the chance to use without any distress. Works on all iOS (including iOS 10.3) devices – This tool can work on iPhone 7/7(Plus)/SE/6s(Plus)/6(Plus)/5s/5c/5/4s/4, iPad and iPod. 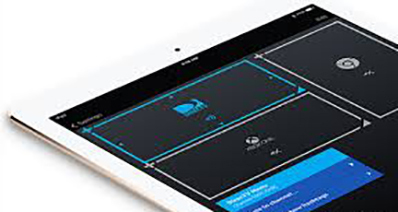 This allows you to use one tool for all your iOS devices.